If you are visiting from Rhoda's blog....Welcome! You are just in time for my Fall Giveaway! My new "Every little thing" sign! If you are following and leave a comment you're in! The sign is awesome! and so is your house! 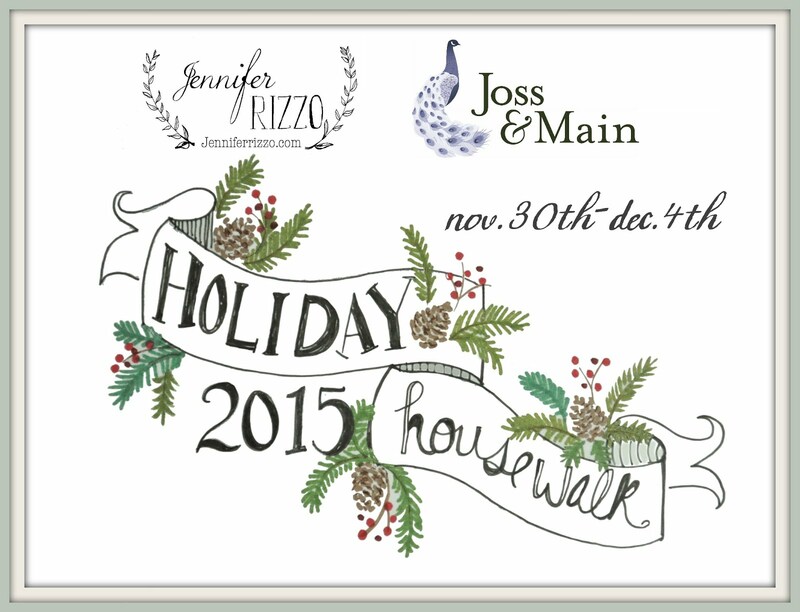 I want to win the sign...plus a home makeover! I would love to win! thanks for sharing. I love my RED typewriter keys sign that you did. Oh, and say hi to Heather B next time you see her! OMG that would look awesome in my living room..
Adorable sign! Would be a perfect pop of color! Love your blog! Such an awesome sign! I am big into yellow right now, so this would be PERFECT!!! That sign if fantabulous sister! Thanks for the chance to win! That sign is my favorite...Every since you made it...I've wanted to try and make one....If I win it, no more planning a "Susie Harris" knock off...almost like a Ballard knock off, only better! Trust me that was a complement! Have a great night! What a fabulous giveaway!!!! Love the sign. That's just what my tired little house needs is a punch of yellow! It would make me smile each time I looked at it! Love the yellow, thanks for the giveaway. Wow...what an awesome giveaway...please count this follower in!!! LOVE it - just added yellow to my kitchen, would look perfect! New follower... love your blog! I love all your signs, but I really love this burst of color! My daughter is taking the LSAT and trying to get into law school...I need this sign for her. I love it !! I LOVE this sign!! Thanks for a wonderful giveaway!! I love that sign! Have since the first day I visited your blog (but somehow forgot to follow 'till now). Love your blog, by the way! I love all your signs. I would love to have this one in my home. 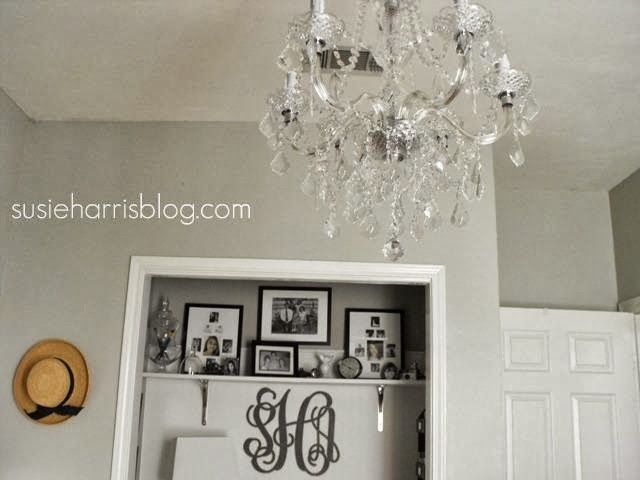 Love your blog, love your house, love your sign! I would love to win it! Your signs are great!!! I would love to win this one!! I have been admiring yours signs for sometime and now I have a chance to win one, of course Im a follower....woooohoooo! We adore this sign. It would be perfect on our sign wall! Woo Hoo! Love it and all your signs! Love it!!! This caught my eye, I have a 7 year old little girl who has cerebral palsy and cystic fibrosis and she is getting ready to have a major surgery which will take months to recover. I want to decorate her hospital room and saw it and think it would be perfect. My daughter takes vocal lessons and sings for competition "Three Little Birds" which has the phrase "every little thing is going to be alright". We love the message of the song and she is so sweet when she sings these special words. This is darling!! Love your work Susie and I am ordering a sign from you, I just can't decide which one to get...first! Oh I love, love, love the sign and the color as well. So sweet! What a beautiful sign...do you make it in aqua also?? Love your bedroom makeover! Thanks for the great giveaway! have a wonderful weekend! Christin~ saw your reply on this giveaway about your daughter~ If you would like to have people send her get well cards at the hospital, please drop me a note... my info is in the above comment. Will be praying for her. I love the bright color of this sign! Would love to win this! Adore...my new home will be ready right after thanksgiving...we need art! Beautiful! Oh, I LOVE this sign! Amazing!! I'm a follower from way back! I am already a follower and the sign looks gREAT! Love, love, love this sign! The color is fabulous!!! I've been a happy follower for about 3 years. Love your blog....and this wonderful, happy yellow sign! 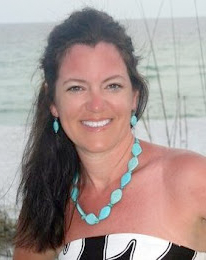 I'm a new follower who found you through Rhonda's blog. Love that headboard and your signs. Can't wait to look back at other projects you and your sister have done. It's awesome! Perfect color too. I'm your newest follower....please enter me for the giveaway, I love your signs!! Great sign. I am a follower. When I was pregnant with our first child, in the middle of adopting our other first, my husband would sing that Alan Jackson Song "that will be alright." When we faced health issues with that baby - he continued to sing. Now, 8 years later that "baby" sings that song. When my husband lost his job this summer and we went thru a very scary time, I saw your yellow happy sign and remembered - It will be alright. I have an envelope saving for it. But a giveaway would be wonderful! Thank you! I love the sign. I love all you signs. Thanks for the opportunity. I LOVE this sign and it would be the perfect pop of color in the old, new house we're moving into this weekend! I'm a new follower, sugar. You have a beautiful home and I love the signage throughout. I have no yellow in my house but this would still be beautiful in any room. Thanks for being so generous. Oh, I love! Pick Me! What an awesome giveaway! I LOVE yellow and I love every sign I've seen that you make. and the chance to win one of your creations! I love that sign! It's so happy!! I absolutely love this sign! My kitchen is begging for it! Just popped over from Rhoda's blog. Your home is just beautiful. Love a Friday Giveaway - thanks ! Yellow is my new black! Love your work...thanks for the shot @ winning! That sign is awesome! Love your blog! Love your blog! And love the sign! I just found your blog from Rhoda....I am going to take some time to look thru it but it looks just lovely! I am following your blog now! Thanks. Love it, it's a happy sign! great blog. I've been following you for years!! Love all your signs! Really enjoyed your road trip with your daughter earlier this year! I'd love to get up to that part of the country on a road trip with my daughter!! I love this sign- it would look awesome in my mudroom. You do nice work! Love--Love the sign!!!!!! Your blog is great---thanks for sharing. It would be such fun to win! What a wonderful sign - so creative - this will be perfect in our master bedroom. thanks for the give away. Yay! If that is all it takes...I am in! Love your home, your signs! This Bama girl needs one for her house! I admire women like you and Rhoda who have moved into this blog world very successfully - as a new empty nester, I see some possibilities for me. Congrats to you on your blog and business! Love all your work...thanks for the giveaway! This is one of my favorite signs and I have the perfect spot for it in my new home! Oh so fun!!! Love it and crossing my fingers on this one! LOVE the sign, Susie! Hope you have a fantastic weekend and Halloween. I love all your signs and would love one for my house!! fab giveaway!! I am now a follower! Love your house! Long time follower and fan! Fingers crossed that I am the winner. love your blog, and your work.. I LOVE this sign! and I just became a follower!!!!! I would love to win this sign! YAY! I love this sign - thanks for a great giveaway!!! My sister is a huge Bob Marley fan. If I win it, I would give it to her ;) Thanks! 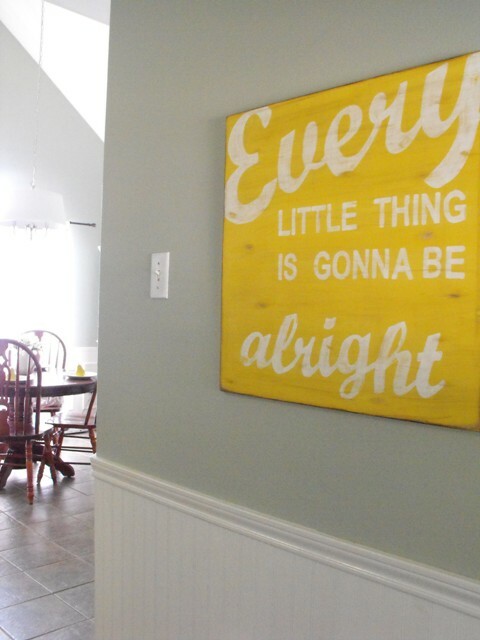 Love this sign - I hear Bob Marley singing in my head every time I see it on your blog or on Pinterest! Love that sign! Thanks for the chance to win. I'm visiting your blog because I adore your blog and visit daily. I've seen this sign on your blog before and love it! Our oldest daughter went off to college in August and this sign makes me tear up every time...she is doing great~better than her momma who misses her like crazy! Im a chronic worrier,, I need this big sign as a daily reminder..lol. Thanks for the chance. What an awesome giveaway! 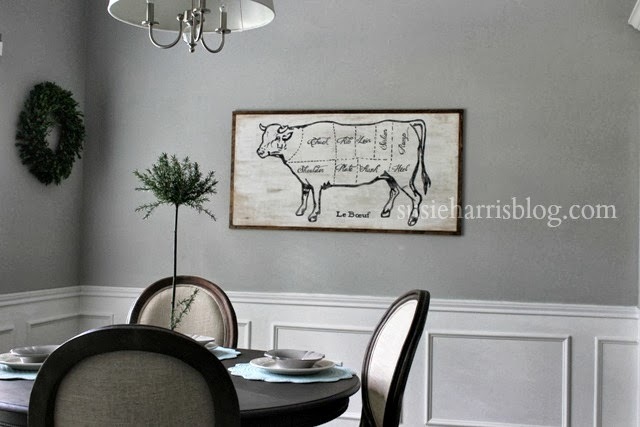 Have had my eye on this sign since I spotted it on pinterest (it was one of my very first pins). Count me in! Visiting from Rhoda's. Love the sign,and hoping to win. I think I will be visiting often! I love your blog, your work and more than that, your heart for Christ! Oh my....would love to win!! Thanks! Yes! This is the best giveaway! It's in awesome sign. Oh, oh, I want it. Toss me in the mix! Obsessed with yellows, would love to own one of your signs :) Thanks for doing giveaways!! This sign is awesome. I am seriously in love with it. Oh my empty kitchen wall will be so thankful. Hi Susie..I follow..have for awhile now..I would love to win your beautiful sign. Love the color, love the sign! I love your signs - this one is so bright and encouraging! I would love to display it in our home! thanks for the opportunity! I just love your signs. I have a wall in my living room that is just screaming for this sign! Yeah! Always excited for new blog posts-even more so when it is a give-away! Love this sign!!! It is one of my favorites!! I would absolutely LOVE to have this sign! I would love to put this in my kids bathroom! How fun! I'd love to have this cheery sign! I love it! Such a cute sign! I've never seen that saying before, but it is touching and so fitting. Thanks for the chance! Ohh I need this sign! Love your Blog...I check it every day from the other side of Louisiana - Lake Charles! This would be such a great addition to our little boy's future nursery! Your work is lovely and so are you and your family! Thanks for this chance to win an adorable sign! I'm following you now and I love your blog! I absolutely love your blog. I never drooled over so many fantastic ideas...haha I only wish I as a tiny bit creative. I'm a long time follower and love all your pieces. i have just started following you and i absolutely love reading about you...greetings from small town, louisiana!! love, love, love that sign....so i've got my fingers crossed...triple dog crossed! I just love it and have the perfect spot for it! Your signs along with your blog are the best! love it. can mine be gray? Love this! You are very talented. Love it. It really speaks to me as I tend to get wound up tight like a spring and need to remember to slow down and every little thing will be alright! The color would be great for my office or mudroom! i love the sign! and i made your no sew ruffle bag and love it!!! Been following for several months. Love the blog and your signs! I'm a happy follower and a big fan of all your signs. Wonderful giveaway, Susie! Thanks so much for the opportunity. This is what we have said every day since Hurricane Irene hit! It would be a great wall hanging to have as we rebuild! Just came over via Rhoda. 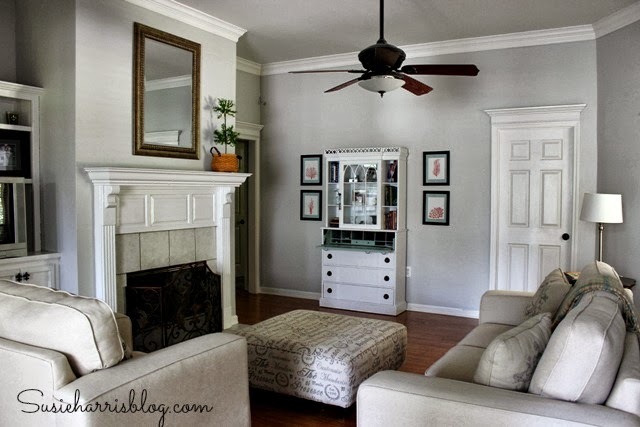 Loved seeing photos of your beautiful home. Love your colors...so serene, cool and clean. I'd love to win one of your great signs. I'm in!! I need this little sign more than you know this Fall! Love your work! Keep inspiring us! I lived in Baton Rouge for a short time and your blog reminds me of that beautiful area. Love to follow and would really love a chance at that gorgeous sign! I'm a follower who admires your signs! Thanks for the chance. awesome giveaway!! Sign me up! That's my motto lately, my dad is dealing with some serious health issues and we're just going day by day that sign is very inspirational! Love your signs! This one especially is very uplifting! Susie, I just love your work! This sign would look amazing in our playroom for our 5 beautiful grandbabies. Thanks for the chance to win a piece of your art! I love this sign! I am a follower! Yellow is my favorite color and everything in your shop is on my Christmas list this year! I look forward to your posts everyday!! Thank you Susie for sharing your talent! Of melodies pure and true"
Oh! I LOVE this sign! Beautiful home! I am a follower. I love the sign! i was just about to pin this .. but now its up for a giveaway.. ahh i hope i win! This sign is perfect in so many ways. Would love to hang it on my wall. Love the sign! Love your house! I love all your signs. And your blog! 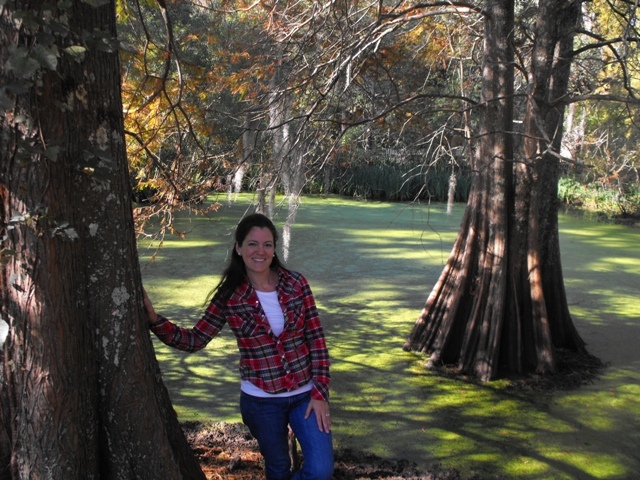 Love the picture of you by the cypress trees. This is my absolute favorite sign you offer...thanks for the chance to own it...for free! I'm a subscriber~I hope that counts! LOVE your signs! subscriber (for like 2 years), a fan and this would oh look so fabulous on my living room wall!! I love this!! It would be perfect in my kitchen! fingers crossed! this would look awesome in my living room!! Really enjoy your blog. Thanks so much. Just in time!!! Love, love, love ALL your signs and especially love how colorful this one is. Love your giveaway Susie, I need this kind of inspiration in my life! Love your signs! This one always makes me think of the Bob Marley song. Hope I win! !